A growing number of Israelis and foreign Jewish groups are expressing concern over the anti-Semitic flavor of some of the “Occupy Wall St.” economic protests in the US. Since then that message has been picked up by others at “Occupy Wall St.” demontrations around the country. One of people reportedly responsible for organizing the “Occupy Wall St.” Protests, Adbusters editor Kalle Lasn, has a history of perpetuating Conspiracy Theories That say the ‘Jews control America’s Foreign policies . The Emergency Committee for Israel, a Jewish-run Republican Organization, released a video highlighting These and Other anti-Semitic Incidents at the “Occupy St wall.” events, and urging President Barack Obama to take a firm stand against such hateful rhetoric. It has been pointed out by many media commentators that the openly anti-Semitic remain but a small portion of those participating in the Occupy Wall St. Movement. However, others have noted that Nazi anti-Semitism started out as a fringe phenomenon in Germany before eventually defining that nation’s domestic agenda in the 1940s. Analyst Reva Bhalla explains the factors behind the Syrian president’s apparent confidence as the regime prepares for a more forceful crackdown. While protests in Syria are increasing in size and scope, the Syrian regime does not appear to be taking chances by parsing out political reforms that could further embolden the opposition. Instead, the Syrian regime is more likely to resort to more forceful crackdowns, which is likely to highlight the growing contradictions in U.S. public diplomacy in the region. Syrian President Bashar al Assad delivered a speech to parliament on Wednesday in which he was expected to announce a number of political reforms including the lifting of the state of emergency, which has been in place since 1963. Instead, Bashar al Assad largely avoided talk of reforms. He said that security and stability needs to come first. He also built on a narrative that foreign elements were exploiting the grievances of the Syrian people and trying to break the country apart. The minority Alawite regime in Syria faces immense socioeconomic challenges as well as demographic challenges but there are a number of reasons why the Syrian president appears to be so confident. Protesters in Daraa have come under heavy pressure by Syrian security forces and continue to come out in large numbers. Protests have also spread beyond Daraa to cities like Damascus, Latakia, Homs, Hama and Kamishli, but the Syrian Muslim Brotherhood, which is the main opposition group in the country, has not put its full weight behind the demonstrations and probably for good reason. The Muslim Brotherhood remembers well the 1982 massacre at Hama which devastated the movement and essentially razed that city to the ground. The Brotherhood is likely looking for assurances from the West that they’re going to receive protection as the crackdowns intensify. But there’s really no guarantee that the Syrian opposition is going to get those assurances. The U.S. administration has been very careful to distinguish between the humanitarian military intervention in Libya and the situation in Syria, arguing that the level of repression in Syria hasn’t escalated to a point that would require military intervention. The U.S. really has no strategic interest in getting involved in Syria in the first place. Syria would be a much more complicated military affair. The prospects for success would be low and the downfall of the al Assad regime is also not a scenario that the Israelis want to see. The al Assad regime remains hostile to Israel but the virtue in that regime from the Israeli point of view lies in its predictability. The Israelis don’t want to see situation developed in which Syrian Islamists could create the political space in which to influence Syrian foreign policy. To help ensure that it’s not going to get the Libya treatment, the Syrian regime is likely looking to Turkey for some assistance. Turkey, which has become much more assertive in the region and has stepped up its mediation efforts in Syria, does not want to see another crisis flare up on its border. While encouraging reforms in Syria, the Turks have also likely played a key role in getting the Syrians to clamp down on Hamas and Palestinian Islamic Jihad activity in the Palestinian territories recently. While the Turks will be encouraging the al Assad regime to make reforms at the right time, they could play key role in quietly sustaining external support for the Syrian regime. Syria’s crisis is far from over and the protests could continue to escalate especially now that the al Assad regime has made clear it’s not willing to go down that slippery slope of offering concessions to the opposition. The Syrian security and intelligence apparatus remains a formidable force and remains fairly unified in its approach to dealing with the uprising. What we’ll see in the coming days is whether those crackdowns will actually have the regime’s desired effect. Vice President of Intelligence Fred Burton discusses the diplomatic targets that intelligence agencies are watching in their efforts to disrupt terrorist plots. While the world is focused on the war in Libya, intelligence agencies like the CIA and MI6 are focused on Libyan diplomatic missions around the globe in an effort to disrupt terror plots. Libya has a long history of using their diplomatic missions as a hub for terrorist-related activity. Intelligence agencies around the globe will be focusing on three specific targets for the surveillance teams. The first is missions or the diplomatic facility. The second would be known or suspected intelligence officers. And the third would be diplomatic pouches. The first target for the surveillance team would be the official diplomatic mission, embassy, consulate or front company where some sort of clandestine action could be taking place. The focus of the surveillance team would be the individuals that are suspected intelligence officers of the Libyan government as well as people that may be walking into the embassy or front company. The surveillance team would maintain a log with photographs or video of the individuals, and an effort will be made to identify who these individuals are through in-country investigations. The second target set would be the Libyan diplomatic officers, with a laser focus on the suspected intelligence officers or known intelligence officers. You’re going to have surveillance of individuals that are meeting with these individuals that spin off into various webs of activity, and there is going to be an ongoing effort to identify who those people are that are meeting with the Libyan intelligence officers. The purpose of this surveillance activity is to create an umbrella, a quick read of activity to indicate whether or not there is some sort of terror plot in the works. The third target set for the surveillance team would be Libyan diplomatic pouches. This is something that we learn through investigation of other terror plots: that the Libyans would utilize the diplomatic pouch to facilitate the transport of weapons, explosives, identity documents to third countries in an effort to carry out any kind of an attack. The interesting aspect of diplomatic pouches are that nations cannot search them, they don’t get x-rayed, they’re not opened, so you literally have no idea what’s in the diplomatic pouch. These items are escorted by diplomatic couriers that also have immunity. Evidence has shown based on past specific acts of terrorism that I’ve personally investigated that Gadhafi uses his diplomatic missions as a center of gravity for terrorism activity, and it’s also going to be a concern for what other surrogate groups he could be reaching out to to facilitate acts of terrorism all around the world. A crisis in Yemen is rapidly escalating. A standoff centered on the presidential palace is taking place between security forces in the capital city of Sanaa while embattled President Ali Abdullah Saleh continues to resist stepping down, claiming that the “majority of Yemeni people” support him. While a Western-led military intervention in Libya is dominating the headlines, the crisis in Yemen and its implications for Persian Gulf stability is of greater strategic consequence. Saudi Arabia is already facing the threat of an Iranian destabilization campaign in eastern Arabia and has deployed forces to Bahrain in an effort to prevent Shiite unrest from spreading. With a second front now threatening the Saudi underbelly, the situation in Yemen is becoming one that the Saudis can no longer leave on the backburner. The turning point in Yemen occurred March 18 after Friday prayers, when tens of thousands of protestors in the streets calling for Saleh’s ouster came under a heavy crackdown that reportedly left some 46 people dead and hundreds wounded. It is unclear whether the shootings were ordered by Saleh himself, orchestrated by a member of the Yemeni defense establishment to facilitate Saleh’s political exit or simply provoked by tensions in the streets, but it does not really matter. Scores of defections from the ruling party, the prominent Hashid tribe in the north and military old guard followed the March 18 events, both putting Saleh at risk of being removed in a coup and putting the already deeply fractious country at risk of a civil war. Gen. Ahmed Ali Abdullah Saleh, the president’s son, is the commander of the Republican Guard and Yemeni special operations forces. The president originally had planned to have his son succeed him. Gen. Yahya Mohamed Abdullah Saleh, commander of the Central Security Forces and Counterterrorism Unit, is Saleh’s nephew. Col. Tareq Mohammed Abdullah Saleh, commander of the Presidential Guard, is Saleh’s nephew. Col. Ammar Mohammed Abdullah Saleh, commander of the National Security Bureau, is Saleh’s nephew. Brig. Gen. Mohamed Saleh al-Ahmar, commander of the air force, is Saleh’s half-brother. Brig. Gen. Ali Saleh al-Ahmar, chief of staff of the general command, is Saleh’s half-brother. Brig. Gen. Mehdi Makwala, commander of the southern military zone in Aden, is a Hashid tribesman from Saleh’s village, Sanhan. Brig. Gen. Mohammed Ali Mohsen, commander of the Eastern Military Zone in Hadramawt, is a Hashid tribesman from Sanhan. However, Saleh cannot rely on the support of all of his relatives. The biggest threat to Saleh within the military apparatus comes from Brig. Gen. Ali Mohsen al-Ahmar, Saleh’s half brother, commander of the first armored brigade and commander of the northwestern military zone. Mohsen is an influential member of Yemen’s old guard and initiated a fresh wave of defections when he announced March 21 that he is joining the people’s revolution and deployed an armored formation to protect the protestors. Armored vehicles under Mohsen’s command are now reportedly surrounding the presidential palace, where Republican Guard units under the command of Saleh’s son, Ahmed, have already taken up defensive positions. The potential for clashes between pro and now anti-Saleh security forces is escalating. Ali Mohsen may be positioning himself for Saleh’s political exit, but he is unlikely to be a welcome replacement from the U.S. point of view. Ali Mohsen is considered a veteran of the Islamist old guard, who earned its claim to fame during the 1994 civil war, when Saleh relied on Islamists to defeat the more secular and formerly Marxist south. The infusion of jihadists and jihadist sympathizers throughout the Yemeni security apparatus — a critical factor that has compounded counterterrorism efforts in the country — is a product of the Ali Mohsen legacy. Following Mohsen’s defection and a crisis meeting among senior Yemen defense officials March 21, Yemeni Defense Minister Maj. Gen. Mohammad Nasser Ali asserted that the army would continue to stand behind Saleh and thwart any attempted coups threatening Saleh’s legitimacy. The Yemeni defense minister does not speak for the entire army, however, particularly those forces under the command of Mohsen deploying in the capital city. If the army is the first pillar underpinning Saleh’s regime, the second pillar is the tribe. Yemen, much like Libya, is divided among tribal lines, particularly in the north of the country. Though Saleh understands the power of the tribe and has made a concerted effort to maintain his tribal alliances, his biggest threat within Yemen’s tribal landscape comes from Sheikh Hamid al-Ahmar, one of the sons to the late Abdullah bin Hussein al-Ahmar, who ruled the Hashid confederation as the most powerful tribal chieftain in the country. Hamid is a wealthy businessman and a leader of the conservative Islah party that leads the Joint Meetings Party (JMP) opposition coalition. He has obvious political aspirations to become the next leader of Yemen and sees the current uprising as his chance to bring Saleh down. In fact, the first wave of resignations from within the ruling General People’s Congress (GPC) party could be traced back to the al-Ahmar family tree, as relatives and allies were called on to raise the pressure against Saleh. Still, there are significant arrestors to Hamid’s political rise. The al-Ahmars, while powerful and wealthy, do not speak for the entire Hashid confederation. Many members of both the Hashid and Bakil tribes have said as much publicly. Tribal sheikhs within the Bakil are especially wary of seeing an archrival Hashid leader assume control of Sanaa. In short, Saleh and his remaining loyalists still have some room to maneuver in playing tribal loyalties off each other to preserve his regime, but that room is narrowing. Yemeni Foreign Minister Dr. Abu-Bakr al-Qirbi is reportedly en route to the Kingdom of Saudi Arabia to deliver a “Presidential Letter” to the Saudi Monarch. In this letter, Saleh is likely asking for Saudi support for his regime, making the case that his downfall will lead to a fracturing of the country and greater instability for the Arabian Peninsula overall. Saudi support for Saleh is nowhere near assured, however. Given Saudi Arabia’s heavy influence in Yemen, the Saudi view on the situation in Yemen serves as a vital indicator of Saleh’s staying power. More specifically, defections or pledges of support by Yemeni tribal leaders on the Saudi payroll can provide clues on the current Saudi mood toward Yemen. The al-Ahmar family, for example, has extremely close ties to the Saudi royals, and Hamid al-Ahmar has made a point in his recent interviews to praise the Saudis and highlight that he has been traveling between Saudi Arabia and Yemen in recent weeks. At the same time, a number of other prominent tribes close to the Saudis continue to stand by Saleh. Throughout much of Yemen’s crisis, the Saudis did not show signs of abandoning Saleh, but they were not fully backing him, either. This is likely a reflection of internal Saudi differences as well as limited Saudi resources to deal effectively with Yemen at this point in time. The three Saudi royals who deal most closely with Yemen affairs are King Abdullah, Crown Prince Sultan and Interior Minister and second deputy prime minister Prince Naif. Prince Naif and Crown Prince Sultan have had a very rocky relationship with Saleh and would most likely be amenable to his ouster, while King Abdullah (whose clan rivals the Sudeiri clan, to which Crown Prince Sultan and Prince Naif both belong) has maintained a closer relationship with the Yemeni president. The three often disagree on various facets of Saudi Arabia’s policy toward Yemen. At the same time, the Saudi government has its hands full in dealing with Iran, preventing it from devoting considerable attention to Yemen’s political crisis. Using Bahrain as a flashpoint for sectarian unrest, Iran has been fueling a destabilization campaign throughout eastern Arabia designed to undermine its U.S.-allied Sunni Arab rivals. Yemen, while ranking much lower on a strategic level than Bahrain, Saudi Arabia or Kuwait, also is not immune to Iran’s agenda. In the northern Yemeni province of Saada, the Yemeni state has struggled to suppress a rebellion by al-Houthis of the Zaydi sect, considered an offshoot of Shiite Islam and heretical by Wahhabi standards. Riyadh fears al-Houthi unrest in Yemen’s north will stir unrest in Saudi Arabia’s southern provinces of Najran and Jizan, which are home to the Ismailis (also an offshoot of Shiite Islam). Ismaili unrest in the south could then embolden Shia in Saudi Arabia’s oil-rich Eastern Province, who have already been carrying out demonstrations against the Saudi monarchy with Iranian backing. When Saudi Arabia deployed troops in the al-Houthi-Ismaili borderland between Yemen and Saudi Arabia in late 2009, STRATFOR picked up indications that the al-Houthis were receiving some support from Iran, albeit nothing that was considered a game-changer in the rebellion. With unrest spreading throughout eastern Arabia and the Yemeni state falling into a deepening political crisis, the Saudis now have to worry about Iran exploiting a second front through Yemen to threaten the Saudi underbelly. This is in addition to all the other “usual” security issues afflicting Yemen, most notably the threat posed by al Qaeda in the Arabian Peninsula, which uses Yemen as a staging ground for attempts at more strategic attacks in the Saudi kingdom. Saleh is no doubt a political victim of the current wave of Middle East unrest and faces tougher days ahead in trying to maintain control. But he also finds himself in a very different situation from than Mubarak’s Egypt or Ben Ali’s Tunisia. Both Egypt and Tunisia had institutions, most critically the armed forces, able to stand apart from their unpopular leaders and sacrifice them at the appropriate time. Though Mubarak and Ben Ali had built patronage networks throughout the countries’ ruling parties and business sectors, their family names were not entrenched in the security apparatus, as is Saleh’s. In some ways, Saleh’s case is more akin to that of Libyan leader Moammar Gadhafi, who presides over a tribal society split along an east-west axis like Yemen’s north-south axis. Though Yemen is more advanced politically and institutionally than Libya, both Gadhafi and Saleh have insulated their regimes by deliberately preventing the development of alternative bases of power, relying mostly on complex tribal alliances and militaries commanded by nepotism to rule. Such regimes take decades to build and an iron fist to maintain, making the removal of a single leader typically more trouble than it is worth. Though the system has worked for more than three decades for Saleh, the president’s carefully managed support network is now rapidly eroding. Saudi Arabia is now being force to make a tough call on the future of Yemen at a time when Riyadh cannot afford another crisis in the Persian Gulf region. The potential for a clash between army and security forces in the Yemeni capital of Sanaa is escalating. According to Al Jazeera, Republican Guard troops have been deployed and are taking up defensive positions around the presidential palace. At the same time, an armored formation under an opposing commander is reportedly being deployed to the presidential palace. The Republican Guard is Yemeni President Ali Abdullah Saleh’s first and last defense. The Republican Guard forces are commanded by Saleh’s closest son, Ahmed, who also commands Yemen’s special operations forces. The tanks deploying to the palace are doing so under the command of Brig. Gen. Ali Mohsen al-Ahmar, the president’s half-brother as well as commander of the northwestern military zone and 1st Armored Division in position on the outskirts of Sanaa. Al-Ahmar defected March 21 and deployed his forces to protect Yemeni protesters against security forces loyal to Saleh. 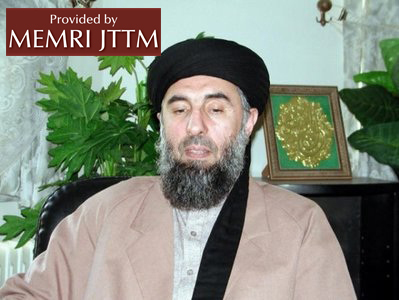 A string of old guard members loyal to al-Ahmar then defected. Amid the escalating tensions, Saleh, who relies principally on his loyalists and closest relatives who dominate Yemen’s security apparatus, still refuses to step down. He delivered a speech March 21 saying he is “patient” and has the support of the majority of the Yemeni people. The statement is likely to embolden the protesters, who are already reinvigorated by the growing support they have received from al-Ahmar’s military allies, defectors from the ruling party and Hashid tribesmen loyal to Sheikh Hamid al-Ahmar, who views the current uprising as his chance to assume political leadership over Yemen. 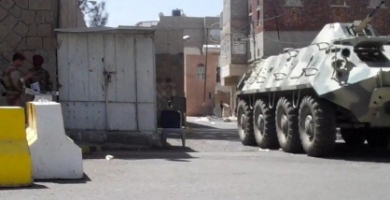 A showdown between rival security forces is developing in Sanaa. STRATFOR will continue monitoring the situation closely.